Bel Canto Chorus’ 80th anniversary season, which coincides with the sesquicentennial of the beginning of the American Civil War, features bluegrass music, spirituals, and commemorative compositions. Join the Bel Canto Chorus singers as they reflect on one of the nation's most difficult times through the soothing but unblinking eye of music. The plaintive sounds of Appalachia, heard in folksongs and spirituals such as Down by the Riverside, help set the stage for the approaching Civil War conflict. Evoking the echoes of angry abolitionists and heated secessionists, Carol Barnett’s Bluegrass Mass reflects the troubled times and brings gentle joy and comfort. Featuring Bel Canto Chorus, Bel Canto Boy Choir, and bluegrass band Above the Town. Join the Bel Canto family in celebrating its 80th anniversary season! Basilica, make for the perfect beginning to every family’s holiday season. Featuring Bel Canto Chorus, Bel Canto Boy Choir, and special guests the Milwaukee Handbell Ensemble. the legacy of our country’s pain in letters home, and in poetry and speeches of the times, as it was torn apart in the epic struggle between North and South. Featuring Bel Canto Chorus and special guests the Milwaukee Chamber Orchestra. Learn about—and try for yourself—the unique dances of the Civil War era. Presented by the Civil War Museum and the West Side Soldiers Aid Society. 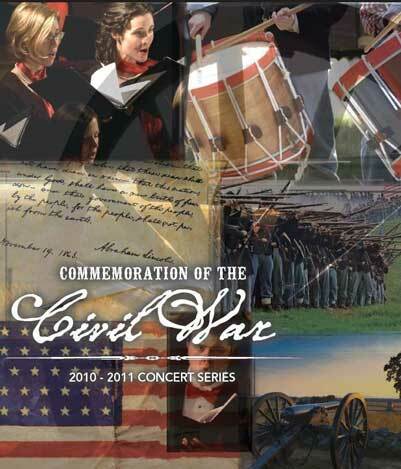 Dona nobis pacem, as these works invite us to reflect on the Civil War and its legacy. special guests the Milwaukee Symphony Orchestra (Edo de Waart, Music Director). Learn the stories of the Civil War and its lasting impact on American history. Presented by the Civil War Museum, the Cushing’s Battery reenactment unit, and students of the Oconomowoc Area School District.